A strong and steady defense against public health emergencies is essential -- including additional funding and increased collaboration among all sectors of the healthcare community, researchers said in a report on public health emergency readiness. The U.S. has a pattern when responding to crises such as outbreaks, bioterrorism, food-borne illnesses, and natural disasters: inconsistent preparation, followed by scrambling, diverting funds, and then becoming complacent until the next crisis, said Rich Hamburg, interim president and CEO of the Trust for America's Health (TFAH), a health policy organization in Washington, D.C., on a call with the media. Moreover, recent cuts to public health funding may have led to dramatic lags in response time to this year's biggest public health threat: the Zika virus. "This year's outbreak, as well as the Ebola outbreak, draw attention to the importance of a permanent public health emergency fund -- at least as a bridge between existing public health funding and federal allocations for emergencies," said Hamburg, who cited the "unacceptable" delay in funding for Zika, during which time money was diverted from anti-Ebola programs. He also noted that funding for mosquito-based disease control had been continually cut for years prior to the Zika outbreak. Hamburg shared findings from TFAH's new report Ready or Not? 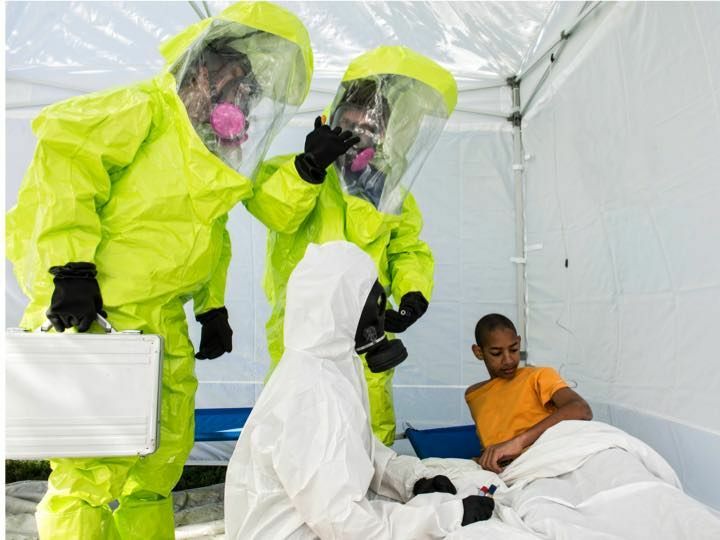 Protecting the Public from Diseases, Disasters and Bioterrorism, the latest in a series examining progress and gaps in the ability to respond to a public health emergency on both state and national levels. The series began after the 9/11 and anthrax tragedies in 2001. The report found that many states appear ill-prepared to handle a public health emergency. TFAH staff evaluated 10 key indicators of preparedness in states and found that 26 states scored a 6 (out of 10) or lower, with Alaska and Idaho sharing the lowest score of 3. However, 26 states also increased or improved their funding for public health in 2015-2016 versus 2014-2015. Massachusetts scored the only 10 of any state. Results were mixed when examining specific public health threats. Only 10 states reported a 50% or greater rate of influenza vaccination from 2015-2016, and 10 states currently have a formal program in place to get private healthcare staff and supplies into disaster areas. But 45 states and the District of Columbia increased the speed of testing to more quickly identify E. coli -- which is considered a measure of a state's ability to detect food-borne illnesses. Overall, 30 states and the District of Columbia met or exceeded the average National Health Security Preparedness Index score. "Preparedness is like a fire department -- it requires regular commitment and funding, and if you haven't built a foundation, you can't respond properly," said Eric Toner, MD, of UPMC Center for Health Security in Pittsburgh, on the call. Toner spoke about potential ways to make the healthcare system "more resilient" during a public health emergency. For example, hospitals -- which shoulder much of the burden during a public health emergency -- could partner with community resources to ensure that existing patients are not deprived of care or seeking it in busy emergency rooms. "Recent emergencies have shown that gaps exist -- such as issues with medical surge capacity, the ability to train responders, and the declining public workforce," he said. "Every year, we are losing expertise and boots on the ground." Among the recommendations in the report are increased collaboration from all aspects of the healthcare system -- from providers, hospitals, insurance companies, pharmaceutical companies, and public health organizations. The report also advocated continuing research on antibiotic resistance and improving vaccination rates among children and adults, as ways to improve public health readiness. A final recommendation centered on improving federal leadership before, during, and after disasters -- including at the White House level. When asked if that might be an issue with the incoming Trump administration, Toner responded that any Congress or administration should take this issue seriously. "Being able to protect lives and the public's health should not be a partisan issue," he said.